Now that the 2017 hangover is done with, we’re now stepping into February where an exciting lineup of games wait us. We have some great remasters like Secret of Mana and Shadow of the Colossus, along with some ports of some of the hottest action games that we didn’t get to play the first time around. Don’t worry, we have some great originals releases out in February too. Here’s our un-cluttered list of the games that are a must-play this month, starting with a spin-off on the biggest stealth game franchise ever. The Metal Gear Solid franchise has a long, convoluted history behind it that was masterfully pieced together by the legendary game developer Hideo Kojima. He may be out working on his own new IP, but Konami has found a way that may just make the franchise more interesting – by adding zombies. It sounds like an easy cash grab, but Metal Gear survive does have a lot of new concepts at work that help it transition well from a stealth action game to a survival horror one. Besides the hide and attack bits, you can now craft a myriad of items and traps on the fly to better prepare for the zombie apocalypse. Or at least give you some very entertaining ways for dealing with them. It’s time for old-school strategy game fans to relive their glory days. Age of Empires returns with much better visuals, improved gameplay, and basically all the pampering you’ve come to expect from modern gaming, while retaining the original feel. It’s not just a cheap remaster either. Age of Empires has been rebuilt from the ground-up with 4K visuals, redone narration and pacing, as well what’s touted to be a much better 8-player online multiplayer gaming experience. Will it touch the right nostalgic chords? We’ll know soon enough. Missed Bayonetta 2? Can’t blame you considering it was originally released only on the Nintendo Wii U. But now with the immensely more popular Nintendo Switch, the game will finally have the reach that it deserves. 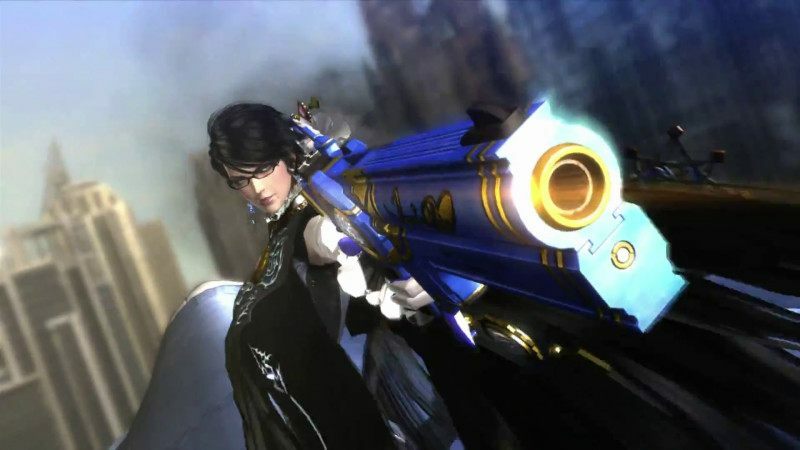 To make sure you’re completely up to speed for the upcoming Bayonetta 3, you also get the original Bayonetta as well, which simply sweetens the deal. It’s not Skyrim, but it is a story-driven open-world RPG that will just scratch that itch. Kingdom Come: Deliverance offers a highly detailed and period accurate set pieces including real-world locations and castles, and spins a story that’s ripe with the right amount of facts and fiction. Even the combat style and soundtrack used in the game are real representations of the 15th century European setting that the game is based in. If you like attention to minute details, then this game is exactly what you need. Yes we know it’s been remastered before on the PS3 and originally on the PS2 before that, but the PS4 version of Shadow of the Colossus is a whole new beast. The visuals are brand new in this version instead of just a texture upgrade that we saw in the PS3 re-release, so the game looks a lot better than it ever did. Moreover the most frustrating part of the original game has been redone as well. Yes, we’re talking about the controls. If you haven’t played this game on any of the previous generation of consoles, you should give this one a try only for the most epic boss battles in the history of PlayStation. This isn’t all either, if you’re using Xbox Live Gold, here’s what you can play this month. What are you planning to play this month? Let us know via the comments.